Adaobi Tricia Nwaubani will be reading from her book, I Do Not Come To You By Chance, at Quintessence Bookshop, on Saturday 15th May at 4pm. Click here for the Facebook event page (and to let us know if you are coming). 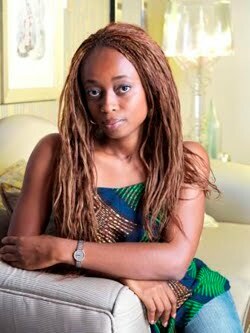 Adaobi waded into the Welcome to Lagos debate yesterday at the Guardian's Comment is Free site here. Note one powerful response to her article here. Please tell her to junk the fake weaves! and how is that any of ur business? I don't know how it is your business how she wants to look. Might be to my taste, but what is your business? They are not asking you to come a look at hair, but to hear her read!! Or would you rather have her hair in wraps?